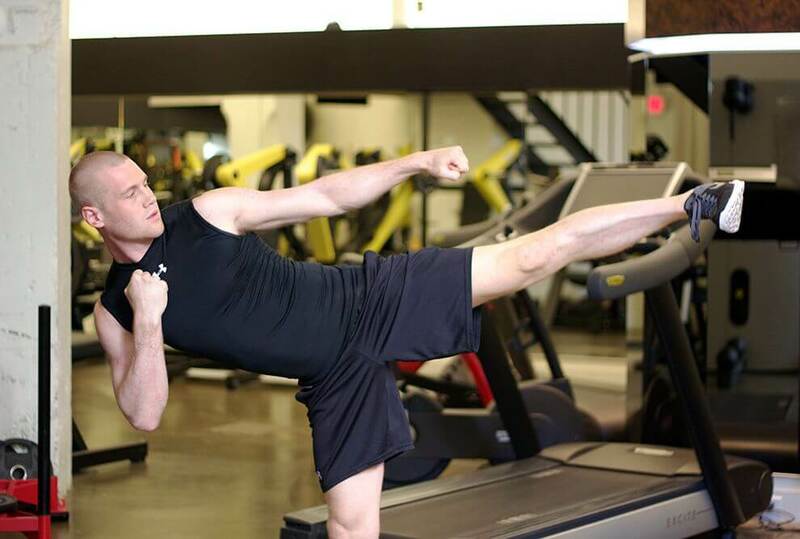 A Mixed Martial Arts coach for over 10 years, Mike is also a Provincial, Western & National Champion in full-contact Tae Kwon Do. Mike can take even the most inexperienced fighter to new heights – you’ll be surprised at what you can do after a session with Mike! Mike’s genuine enthusiasm and high energy is infectious. With his encouragement, you’re guaranteed to be in a better mood and feel positive about yourself after training with him. His athletic talent and ability will blow you away, but what will move you even more is his exceptionally warm demeanor and humility. You’ll want to train with Mike if you get bored easily and need variation in your workouts. Before I started taking kickboxing with Mike I had no idea what a sprawl, or side kick was. You don’t know what he’s going to throw at you next! Mike is an amazing trainer, he’ll show you again, and again how to do the moves correctly until you’ve got it. Mikes a great guy, he makes every class fun and an awesome workout! I might be exhausted at the end of his class, but I’m always looking forward to coming back for the next one.